Jesus told us in Luke 12:32 to fear not, for it is our Father's good pleasure to give us His kingdom. God doesn't want us to live in fear. He wants us rather to live in the safety and security of knowing that He loves us and He is for us (Romans 8:31). The reason why we don't have to be afraid is because He is with us wherever we go. Since our Dad is the biggest, strongest, most loving Dad in the universe, we can rest in His 24/7 care of every area of our life. 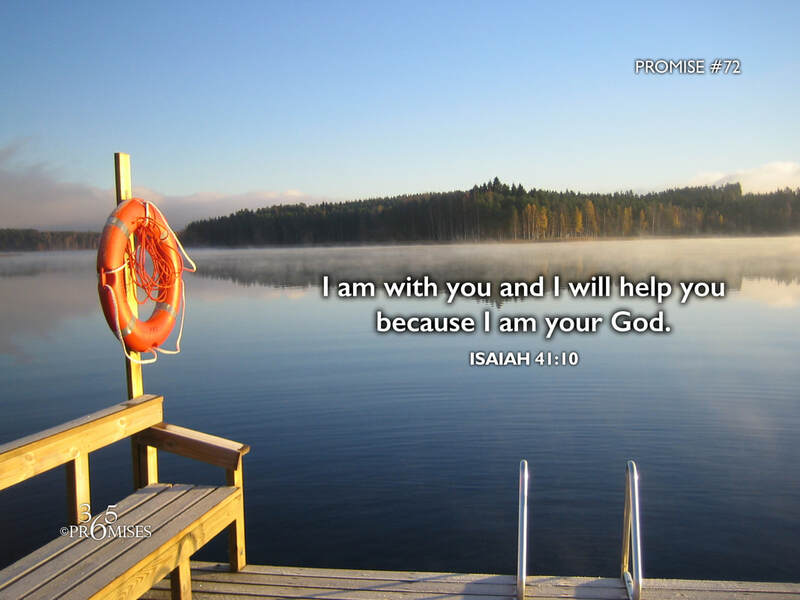 In today's Bible verse, God promises to be with us wherever we go. He promises to strengthen us, help us and hold us up with His mighty right hand.